When war erupted in Eritrea, Naser's mum had to smuggle her children out of the country to a "supposedly" safe Jeddah, in Saudi Arabia with their uncle, while she stayed behind. Few years later, Naser was kicked out of his uncle's house. He was accused of being an apostate. Quite hypocritical on his uncle's behalf, since he sexually offered his nephew to their Kafeel. As I learnt from the novel, Kafeel is a sponsor, all immigrants in Saudi Arabia has to be sponsored by a Saudi. The Kafeel system gives full control to the Saudis over the lives of the foreigners they sponsor. They have the power to withhold the passports of those under their control and deport them whenever they choose. So, you could imagine what such hierarchy involves. "My dear, in a world without women and in the absence of female glamour, boys like you are the perfect substitute. Why hide your attractiveness and your tender physique like a veiled woman? You are the closest my customers have to a beautiful and sensual person roaming freely in their world"
Fortunately, he managed to fall in love with a veiled woman in a country where falling in love is a crime, where lovers stand the chance of being lashed in public or stoned to death. 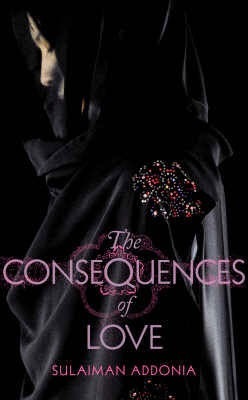 In "The Consequences of Love" you will find out how a love affair unfolds in a society as oppressed as Saudi Arabia. This novel was narrated through the eyes of a young adult, a twenty year old Naser, meaning that the narrative was rather simple, though the content was deep and most of the times troubling. I almost stopped reading because of the revolting images it conjured up. Men are forced to quench their sexual desire with young boys, since their women are under the veil. Sometime, this include sexual exploitation and abuse of young immigrants from war-torn countries. I recommend, especially if you would like to know how a love story unfolds in a sexually oppressed society. It sounds like a harsh but gripping book. It is indeed, not your type of love stories... Though you can still read it. This definitely sounds a lot darker than I was expecting. Glad to hear that you thought it was good though. For my Eritrea book, I'm trying to decide between this one and an older novel The Conscript that was written in the Tigrinya language (which is apparently the most widely spoken language in Eritrea). This sounds like a darker book than I was expecting it to be. Glad to hear you thought it was good though. For my Eritrea book, I'm considering both this one and The Conscript, an older novel originally written in Tigrinya (apparently the most spoken language in Eritrea). Biblio, it was a good read, interesting. Though the quality of the writing was not superb. This book was an intriguing window into the lives of poor immigrants in Saudi Arabia. Though the idea that grown men exploit young men to fulfill their sexual needs was disturbing, I found the underlying story of passionate, unhinged live captivating. Yes, that part bothered me alot. Anyway, the story linbe was pretty engaging.